I am calling it quits. The party is over. After 36 months of investing in Lending Club, I can’t see any reason right now why I should deposit and invest any more money into peer to peer lending. The returns are too fickle, the asset too illiquid, the tax situation murky, and its too difficult to find and invest in the best loans. You can see everything I've written about LC, including my 18 month and 2 year review here. 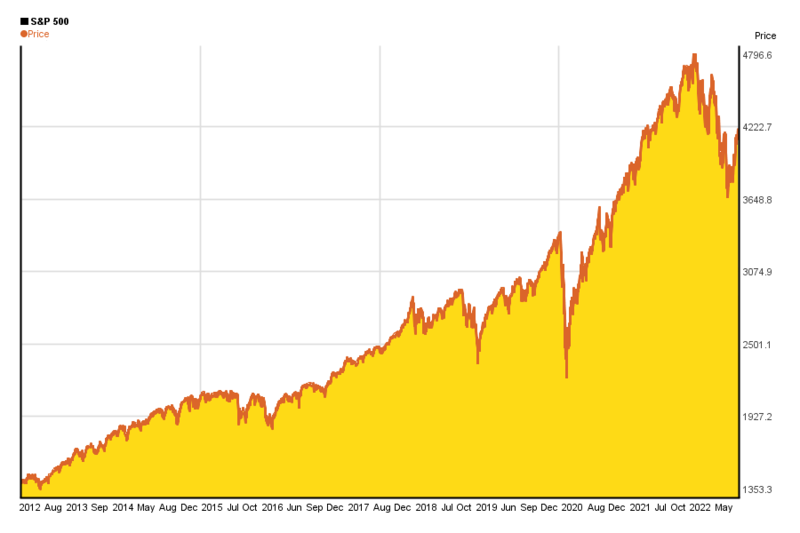 The P2P market has become competitive beyond the point of usefulness because of the growing number of investors, both institutional (foreign sovereign wealth funds, Wall Street banks, and hedge funds) and individual. The best loans are snapped up in a matter of seconds after posting. The remaining loans are either too high risk or too low yield to be worth having in a portfolio, and even those are snapped up in a few hours. The average investor isn’t supported by automatic algorithmic trading or can afford to hire multiple third world laborers to monitor the P2P sites when loans are posted at fixed times in the day. The individual investor can only use the Lending Club Prime service, which doesn’t offer enough flexibility in its automatic investing criteria. Even when using Prime, individual investors will often seen double digit percentages of their cash sitting idle, collecting no return. It is this idleness that is driving me to withdraw my funds from Lending Club. To be honest, Lending Club requires too much work for the individual investor. In the stock and bond markets I can deposit a fixed amount from my paycheck every month which is automatically invested in low cost index funds in accordance with my asset allocation plan. When dividends are paid out, my Vanguard and TSP account are set to automatically reinvest the dividends. There is no such system currently in place with P2P lending platforms. You can invest automatically by grade using the Prime service, but you can’t get into the fine details of loan investment, like only investing in people earning more than $100,000/year or ignoring loans from Florida or California. It is these kind of highly detailed investing that dramatically reduces your defaults and increases your return on investment (ROI). It started off so promisingly. Only two years ago you could take your time to invest. Loans were funded in a matter of days, not minutes. I even remember reading in the loan details why people wanted the loan. Obviously, as the P2P system proved to work, the sharks swam in. Big league investors can’t ignore an asset class that could return double digit yield with a bit of filtering and back testing. I think the initial glory days are behind us. P2P investment will still be an exotic asset class uncorrelated with the returns on other asset classes (stocks and bonds, in particular), but it won’t be the 10%+ easy return we all thought it would be in the early stages. To get a return above 5%, you’ll need to put some work into filtering your loans. P2P lending in it’s current form is not a passive investment. S&P 500 over the same three year time period: 11% annualized return, without dividends. Even with idle cash I still had an average annualized return of 8%. There is still some upside potential to Lending Club, it just takes an extra bit of effort to find those loans to match your investment criteria. I haven’t made a deposit in over a year or invested in a loan since October 2013. From here on out, I’ll just divest slowly by withdrawing money as it’s paid back. The secondary market on Folio for loans isn’t bad for liquidating your loans, I just want to see how the rest of the investment plays out over the next few years. Peer to peer lending is not dead. In fact, it’s still in it’s earliest growth stages. I wouldn’t be surprised if the P2P industry grows to loan a billion dollars per month in the next 5 years. Lending Club already loans a quarter of a billion every month in February 2014. LC and Prosper have barely scratched the surface of the US credit markets. Right now most of the loans are issued to refinance existing debt. Just wait until P2P lending gets into mortgages, student loans, and automobile loans. P2P investment does have the potential to revolutionize debt markets in the US and around the world. By democratizing the meeting of lenders and borrowers, you take power away from the large banks and empower the common man. Lending Club is an interesting alternative investment class, but as a young investor with a long time horizon, the world stock market and US bond market are the place for my cash right now. Low expense ratio index funds will continue to provide the cornerstone for my investment strategy. I wouldn’t be surprised if in the next three years there are automatic P2P investment firms. For a 1-2% fee they invest your funds for you using their proprietary or open source models. P2P Picks is one such company, although as of February 2014 they can’t yet invest your money automatically for you. You still need to take action by clicking on the loans they select. If, at some point, automatic and instantaneous reinvestment of idle cash into loans that match my criteria is available, perhaps I’ll return to Lending Club. Additionally, if LC offered at least some return above 0% on idle cash (like holding the money in an interest bearing money market account), that would ease some of the current issues. Until then, I’ll continue to maximize my Roth TSP and Roth IRA contributions. How about you, reader? Are you jumping into the P2P game, on your way out like me, or just waiting it out? I’m very new to lending club so please excuse my ignorance. I automatically invest. Customer service held my hand and walked me through the filtering process. I have not changed it since i invested 3/2016. I received a bonus for signing up. So far, i have received a return of 10.3% to date (not including the 1% bonus). 1. conventional wisdom is that due to my time frame to retirement I should have at least 30% in bonds. I hate investing in bonds now, as the yields are so low and as interest rates will inevitably rise, bonds will take a hit, so LC is a good alternative to bonds. So when i compare LC to bonds, they represent a fantastic return. 70% of my portfolio is in equities already and that will not change. 3. I like the steady returns and the relative lack of correlation to the stock market, particularly as the DOW approaches 20,000. I solved several of the problems you mentioned with my own software, which I now offer at p2pinvestorkit.com. Unlike other services, there are no ongoing fees with P2P Investor Kit. Bet he is kicking himself now for getting out when the gravy train pulled into the station. 8% returns are bottom end, when using filtering or conservative investing. Setting up your own filtering at LC or other sites such as Lending Cube or Lending Robot should beat the 8%, I know mine has by over 3%. Only time intensive part now is doing your back testing, which for every hour you spend, that is thousands in returns. LC has exploded in the amount of loans you can by a chunk of, since you left it. Not only has the amount of loans skyrocketed but the quality as well. Can I ask why you wouldn’t invest in loans from Florida? Asset classes should be compared to each other, taking into account risk and liquidity as well. If you actually read what I wrote, you’ll notice that I was pretty happy with my returns. The problem is how labor intensive it is to continue to invest in Lending Club. LC doesn’t make it automatic, simple, or easy to stay diversified. Too much unknown risk for not much reward. The detailed automatic investment controls weren’t there when I last checked. I’ll stick with my mutual funds and ETFs until P2P lending becomes more mature. 3] You put the majority of your money into C and D rated loans. What did you expect? About what I got. Based on my modelling and backtesting these grade of loans offered the best return for the risk taken. My point in this article is mainly that idle cash builds up and the investing is anything but passive at this stage. Compare that to my stocks and bonds at Vanguard, which reinvest the dividends and require only an annual rebalancing. Much less work for a better return. Thanks for your comments! 1] Lending club offers automated investing of idle funds. S&P = 5.34% over 10 years. Quit using logical fallacies to draw traffic to your website. 1. Yes, but only breaking the notes down by grade. What if I want to automatically fund all debt consolidation loans? Not possible with the current automatic investment options. Not enough control over the automatic investment criteria. 2. It’s logical because it’s an alternative asset class? What did you want me to compare it to, banana futures? I benchmarked this asset against the S&P500. Different asset class, sure, but a useful comparison I believe. I would love it if my “logical fallacies” drew traffic to my site 🙂 Alas, it takes more than that. I quit LC for the same reasons. Besides one biggest reason, such as being able of selling notes before they turned bad (which is no longer available) I found the biggest driver driving me away a lack of information. If you go to a bank and ask for a loan, the bank is screening you and asks for tons of information. You as an investor you get none of that information. Only a cent of it and in my opinion that is insufficient. Evaluating the borrower is almost impossible. You either have not enough information or time to do it, because while you try to read and do some homework, the loan is already gone. To me it is like investing blindly into a stock without doing your homework, not even knowing the name of the company the stock represents. And once you are invested, you have no information of whats happening. A few of my loans turned bad and the collection log was last updated 6 months ago. Too risky in my opinion. So when I lost the opportunity to sell the note before it turned bad, I was stock basically in a lottery. You pick up a note and then hope the borrower will pay. With stocks I have a lot better chance and I can control my risk and try to mitigate it. With LC notes I have no risk control at all and rely on filters, which still are not a guarantee of success. I know a few investors who believe that some defaults are a part of LC investing, but that is not for me and I am not willing to submit to such thinking. I am not willing to just give up and lose money, because it is a part of it, or a lottery. If I lose money in stocks or option, then it is due to lack of my knowledge, homework, or judgement. With LC it is just a luck. Not an investing style of mine though. So I decided to quit. At first I decided to keep only $500 dollars “play” money in there, but now I am about to withdraw that as well. Its really great to read your breakdown here. I love to learn more about people’s experiences like these before I start any new investment strategies. It sounds like you’ve got some good reasons to focus on other things. Thanks for the insight! This is a very informative post. Have you looked at investing in real estate debt? You should really look into one of the 3rd party automated sites. It will totally alleviate the frustration you currently have. LendingRobot has a very easy to use interface and invests within seconds of new loans coming available. There is a 0.69% upfront charge, but that is made back quickly just by virtue of having your funds immediately reinvested. Access through the API guarantees you get quick access before the best loans are gone. Bluevestment is also quite good and it is free. It can also integrate with a P2P-Picks.com account to have access to loans that are filtered by that site and predicted to have higher performance over time. It doesn’t access via the API at this time so isn’t as fast as LendingRobot from what I can tell. It is not as user friendly as LendingRobot to get the filers set up, but once you create them it will invest for you in a hands off fashion. There is also a NickelSteamroller Premium service, but I haven’t tried it. It had only offered its services to beta testers so far, but is supposed to open up to public access soon. I would really encourage you to look into these options before throwing in the towel! Sorry to see you go Spencer. I agree that the P2P lending environment has changed drastically over the last couple years, with the last 12 months being unbelievably dynamic as P2P Lending rose in popularity. I’m still sticking with my peer to peer lending investments as I’m continuing to find success, and will continue to do so as long as it feasibly makes sense. Best of luck with the new investments! While I echo several of your concerns about Lending Club, their Prime service now allows you to use one of your self-made filters in connection with the note allocation by grade. For example, you can allocate your portfolio to a 35/35/20/5 (C/D/E/F) split AND require that notes not be from FL/NV and borrowers make $X per month. This option is at the bottom of the PRIME page under “Special Instructions”. What if I don’t care about my allocation between grades as long as the notes meet my filters? I still don’t think there’s enough control over automatic investment criteria. I see your point. I’ve just tried to rely on historical returns and have avoided A and B (and barely have a presence with Fs). There have been many more “Cs” that satisfy my filter criteria than lower graded notes (obviously). So it has become an exercise of changing allocations as necessary once in awhile. As I became too heavily “C” oriented (in my opinion), I’ve set the allocations so as not to purchase any more “C” notes. But you are correct that PRIME does not provide enough control for the lender and (a bigger issue in my opinion) does not select loans on a consistent enough basis. There are some 3rd party products (such as Lending Robot above) that seem to show promise, but I have not used any of these yet. I have noticed a shift by LC to focus more on institutional investors, which is disheartening, but certainly logical on their part. And I do agree with your Vanguard based investment plan. Keep up the good work and thanks for the site!